Below is a list of continuing care retirement communities in Chattanooga, Tennessee. If you need additional help finding care for you or a loved one please contact our FREE care counselors at 1-800-955-8510. CarePatrol helps families find the care they need. We walk with families through the transition into senior living communities.  We are your local experts on senior living and we think you deserve more than a list or phone calls. We're with you all the way!